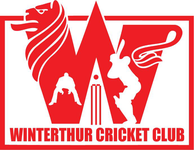 On Sunday 2nd April Winterthur Cricket Club's 2017 season got off to an early start with two pre-season friendly Twenty20 matches at home to last year's double T20 & CSPL champions Zurich Nomads. WCC started their season on slightly warmer, friendly day with a T20 match against 2 times league and Pickwick T20 champions Nomads CC. Just when we thought the opposition was our biggest challenge, Juli Pratt, Swiss National Team Physio. gave the WCC a "simple" warm up, last person standing on the ground was Juli. With full energy and an empty stomach we warmed up preparing ourselves for a delicious breakfast from Riyaza Aqualar and also the match against Nomads! While Nomads showed up on time, WCC Captain Tom and Nomads Captain Farid tossed the chance of batting or fielding with a shopping cart coin flip. Visiting Captain Farid won the toss and chose to field first. After a 10 min long boring lecture about tactics, nonsense motivational speech, setting a target of 150+ and some commentary about Jagath's hair style, Tom decided to start WCC innings with an elderly mature player Ruan and the one and only teenager in the team Kasun. The WCC innings started off perfectly with Johan Kruger volunteering to umpire for few overs thank you Johan ! and also a solid partnership between Kasun (27) and Ruan (19). Both the batsmen played mature cricket, running between wickets and quick singles were really well done! 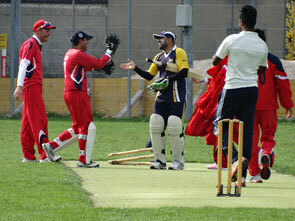 Especially both batsmen spoke to each other between the overs and whenever pressure built up. These two gave WCC a very good strat Ruan unfortunately got out a brilliant ball and had to depart. Dipi (5) did not like the cloudy sky, so he got out trying to clear the clouds with his bat swing. Please note it was still cloudy after he got out. 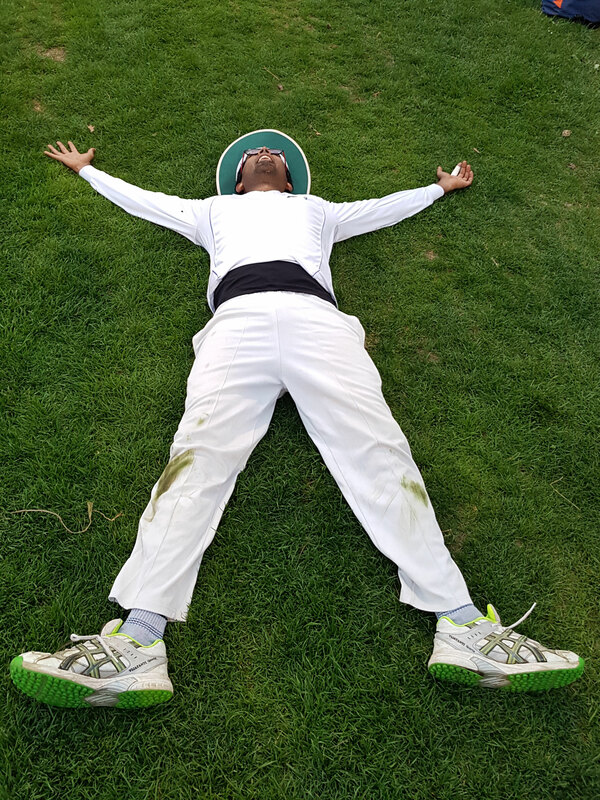 Praf Shikare (33) played sensible and responsible innings, steadied the innings with his class batting, Jaga (6) walked in hit the daylights out of the ball to the fence and walked out. End of story! Sahan (16) the party animal supported Praf who was accelerating on the other end and eventually got out. Mohammed aka Mahela kept the scoreboard ticking and stayed NOT OUT !! Praf got out and Tom (23) supported the team with some quick runs. 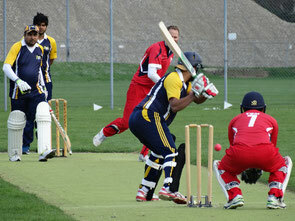 Niloj (4) adding some more runs for the team, added a total of 180/8 in 20 overs set a high target for Nomads ! After a quick lunch thanks to Masood of Cricket Corner for the delicious curry, captain Tom started with Shijo the south Indian star and Niloj. Shjio gave a good start, followed by Niloj with his firey spell applying pressure on the opening batsman Kamran and Vaibhav(1) Shijo got the first break through with a regulation catch to Keeper Tom ending his spell with 19 runs 1 wicket in 3 overs. Niloj ended his spells with 26 runs in 4 overs controlled the runs flow for Nomads setting up the batsman under a lot of pressure. Jaga controlled runs as usual taking a crucial wicket of Kamra(35) the danger batsman who was settled in boosting WCC's confidence and adding more pressure to the batsmen, Jaga ended his spell with 24 runs 1 wicket in 3 overs. Tom realising that the batsmen getting used to the pace brought in the ninja bowlers Adam and Kasun, with a daring field setting including a leg slip ! Adam trying to impress Eve took 4 wickets ! drilling thorough the middle order and the danger batsmen Kumar (29) and Kasun aka Muthaiya Muralidhran aka WCC main off spinner aka the dream of every aspiring off spinner bowled extraordinarily brilliant took the danger batsman Naman (22). Adam ended his spell with 4 overs 4 wickets with 18 runs. If batting and bowling is what you readers think was great you haven't heard the full story! Ruan and Mohammed were competing for the superman award. Both showed amazing agility with Ruan taking a fantastic single handed diving catch ! Mohamed took a simialr diving single handed catch but unfortunately it was of the thigh guard. Kasun was like cheetah on the ground running fast like (Hamster on a wheel). None of the fielders apart from Keeper Tom letting lazy byes. This team is oozing energy and commitment to win every match we play. Overall a fantastic performance in all departments, batting, bowling, fielding etc has been fantastic! Looking forward to a fantastic season! The team looks confident and is ready to take on some challenges this season! 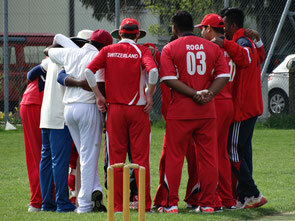 WCC will give their opposition a tough fight and good competitive cricket this season! The bat that scored 64 runs with owner Ruan! After a late start WCC batted first. With the team change, Tom making no mistake, sent the opening pair to do the magic again. Kasun (48) and Ruan (64) again building up a partnership giving a super steady start for WCC boosted the score to a secure zone. 2nd innings with the hope of winning the game Tom started with Niloj and Dipi. Niloj as always bowled a very tight line gave a solid start. Dipi did not compromise his line and length trying to keep the pressure on. both ended up taking 2 wickets each. in their entire spell. 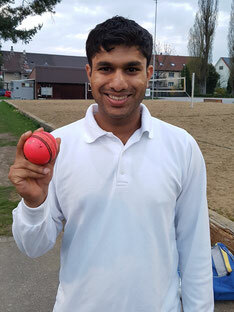 Niloj ended his spells with 2 wickets in 4 overs giving away only 16 runs. Dipi ended his spell with 3 overs 2 wickets and gave only 17 runs. A=Aayush, B=Ball, H=Hattrick and 4 wickets! 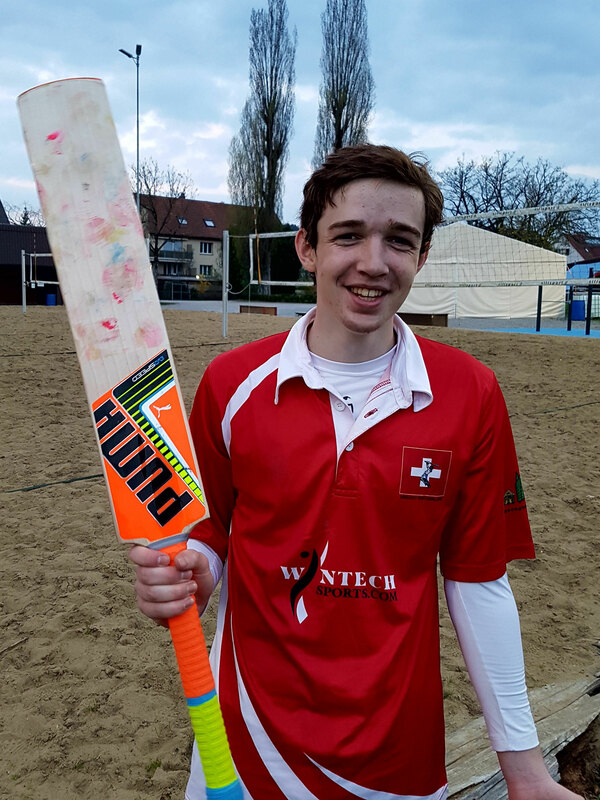 Just when things were looking good for WCC Wicky joined the Nomads attack and scored a quick 47 runs. Suhash and Ruan tried to control the damage but no luck, in came Kasun with his brilliant off spin, the turn so sharp that makes a round about look like a straight line on a serious note Kasun with his spell managed to take 2 crucial wickets, he ended his spell with 16 runs of 3 overs with 2 wickets. Just when things were looking bad for WCC Tom brought in the star, the man of the match, the secret weapon, the almighty of deceiving slow ball, the whatever / Whoever you can think is big ! Aayush into the attack, after a bad 1st spell of 1 over. Aayush took 4 wickets in 4 balls, 2 caught and bowled, 1 bowled and 1 caught by a Suhash a brilliant sliding low catch of the most important wicket Faheem (0) the turning point of the match ending Nomad CC's hope and closing the gap of 4 wickets needed to win! What a way to win! What a start for Aayush for his first match in WCC. Overall great performance - batting, bowling and fielding. A lot of new faces, good team spirit, wonderful, cheerful team mates. WCC is definitely in for a wonderful season both on the social and on the cricketing side! A special thanks to all the spectators Stephanie and friends, Veena, Eva, Nadia and Juan for joining us to watch the matches, cheer! Also thank you to Riyaza for making that wonderful breakfast! Thank you to Juli for helping us with warm up exercise, looking after injuries and finally for those wonderful cupcakes and hiding them from Adam!